Handmade - Japanese Style. 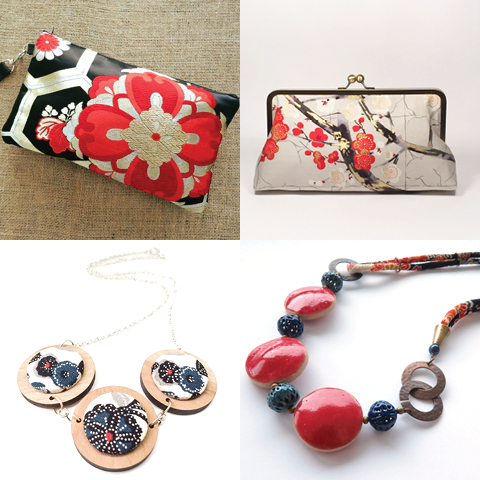 My picks this week are inspired by my love of Japanese prints and my wish one day to see the cherry blossoms in Japan. I love shopping and searching for Japanese inspired items and also love adding a bit of Japanese flavour to my range of products. 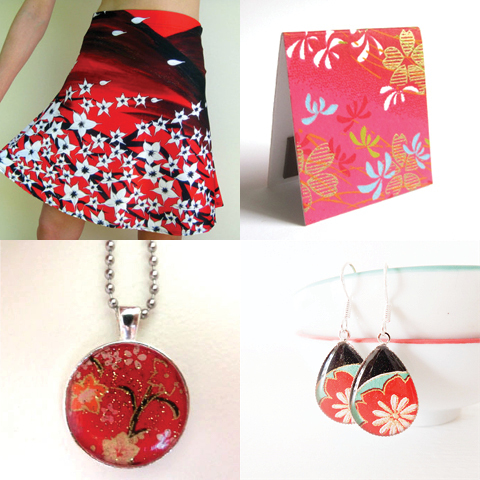 I love Japanese printed papers and fabrics and am an absolute lover of cherry blossoms so I could not go pass these gorgeous and vibrant handmade finds.